Look out Grafton, home buyers have found your town! 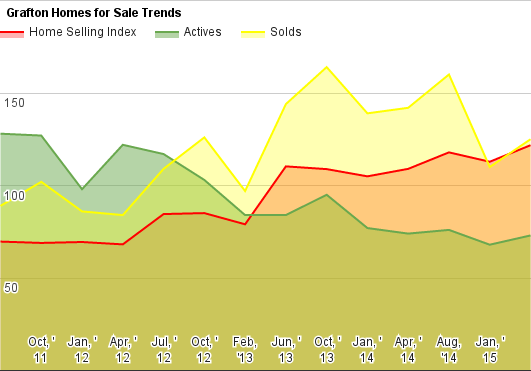 Prices have moved up in a steep line this year, and there are indicators that this is likely to continue. 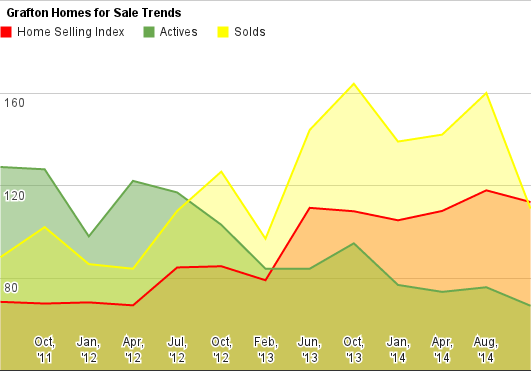 Let's look at the overall market. 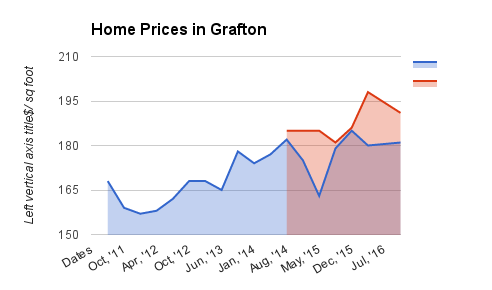 Grafton looks marginally better for home sellers this year. Nothing drastic. Despite the significant discount to both Shrewsbury and Westborough prices, Grafton is still a laggard in this market, and fighting to get back to where it was in 2005. Grafton looks to expand on a new trend we've been seeing, and also has some mystery too - a fall in prices where there shouldn't be one. Let's see! 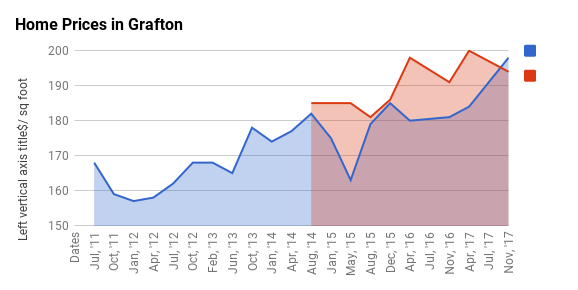 The market report in Grafton has a few caveats, but overall, it's a strong report for Grafton, as buyers continue to see value there.